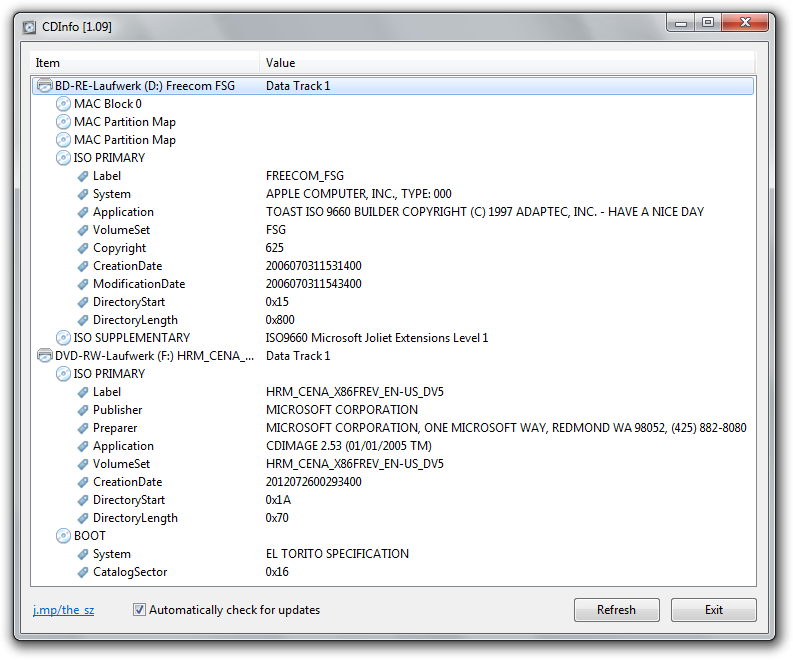 This program displays ATIP media information like manufacturer, ID and type. 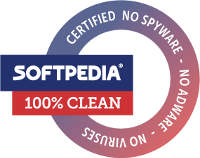 Further all ISO descriptors from CD-ROM, DVD and Blue‑ray discs are shown. 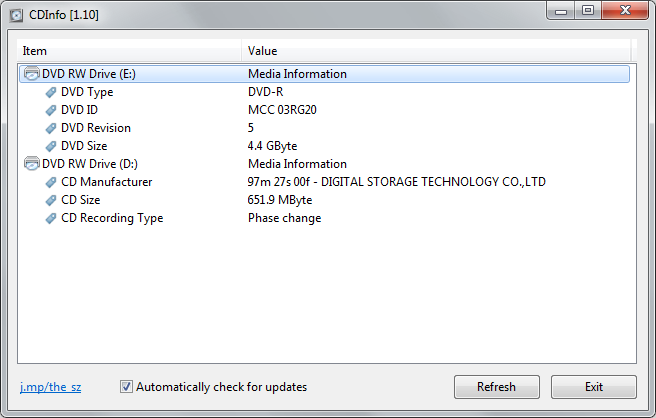 See if a CD/DVD is bootable. Detect whether a CD/DVD has an additional HFS MAC partition. 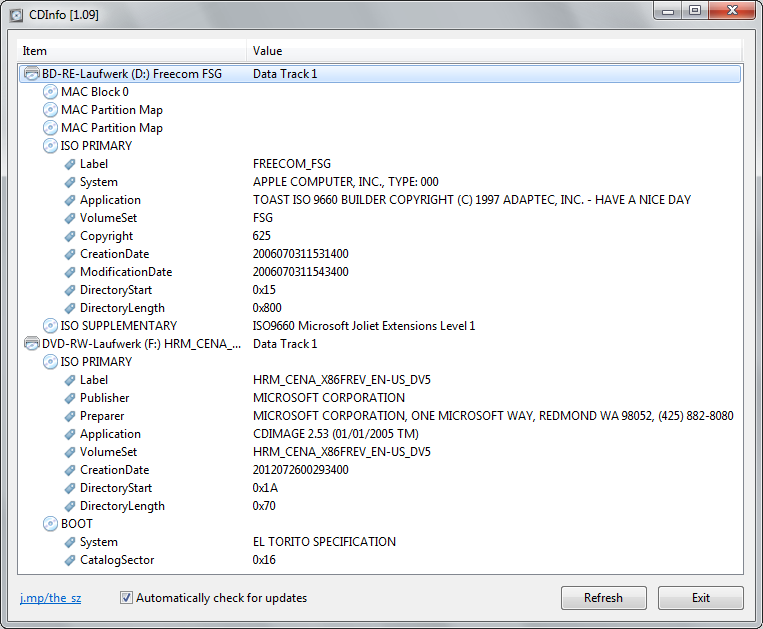 See which disc authoring software was used. Identify the real media manufacturer, media ID and media type from the ATIP region of CD, DVD and Blue-ray discs. 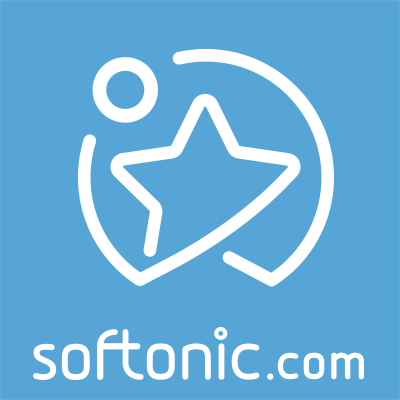 Do you like the software? Make a Donation! You don’t need to have a paypal account in order to make a donation. Do you need other features or want to help to translate? Send a Mail!